The Nobel Prize-winning discovery that gravitational waves exist in the universe, which in turn further confirmed Albert Einstein’s General Theory of Relativity, was made possible in part by a collaboration with USC computer scientists. By developing a specialized computer program called Pegasus, a team of USC Information Sciences Institute researchers facilitated the work of scientists who this week won the Nobel Prize in Physics for their discovery of gravitational waves that are powerful enough to ripple throughout space and distort the shape of the cosmos. While the prize is shared by Rainer Weiss of the Massachusetts Institute of Technology, and Caltech scientists Kip Thorne and Barry Barish, the joy over their achievement is shared by colleagues. The software developed at ISI supported computational research, such as the type conducted to detect cosmic gravitational waves at the Laser Interferometer Gravitational- wave Observatory (LIGO). It automated the execution of hundreds of thousands of computational tasks on high-end systems, while managing the data flow between tasks and accessing experimental data across wide area networks. Deelman said the Pegasus program, so named because it was initially designed for astronomers, was first conceived as a virtual data grid that would deliver information based on whether it was available in existing data sets (such as information collected by NASA) or by computing new data on demand. One challenge that Deelman and her team encountered when designing the program was that the scientists had an idea of their workflow stored in their minds and wanted it enacted exactly that way, not necessarily in the manner suggested by a computer. The computer scientists had to create something that could quickly link the researchers’ ideas to existing data, software and computing resources. Pegasus eliminated the need for developing manual commands or scripts. It was designed to quickly recover from failures and ensure the data are delivered securely and efficiently. 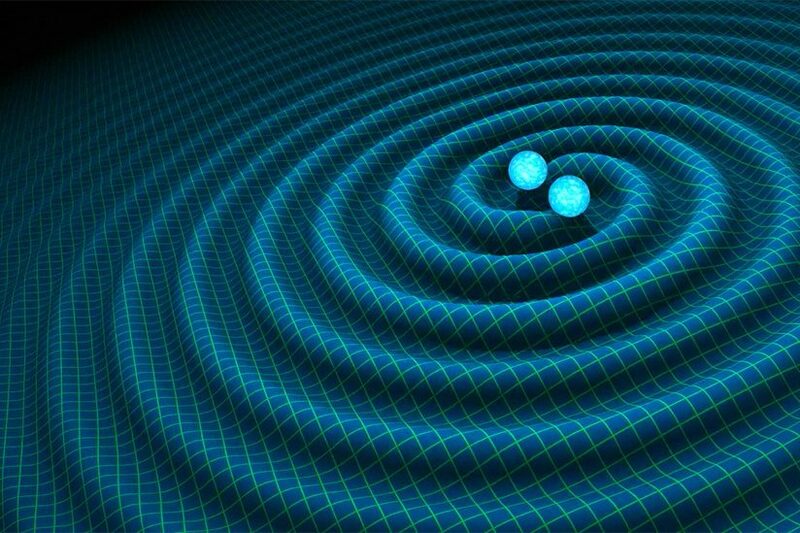 LIGO’s discovery marked nearly 100 years since Einstein wrote his General Theory of Relativity, when he suggested that space and time are a single continuum, “space-time,” and that matter and energy could warp the shape of space-time and produce gravity. Deelman led a team for developing Pegasus that over the years included USC computer scientists Karan Vahi, Mats Rynge, Rajiv Mayani, Rafael Ferreira da Silva, Gideon Juve, Gaurang Mehta and a cohort of PhD and master’s degree candidates to write the software in a way that functioned intuitively and reliably for the scientists. Early on, the team included ISI scientists such as Carl Kesselman, director of the Center for Discovery Informatics at the USC Michelson Center for Convergent Bioscience, which will open next month. Other researchers from the University of Wisconsin- Madison’s HTCondor team led by Miron Livny also had a hand in the creation of Pegasus and have collaborated on the project since 2003. “Over the years, Pegasus greatly benefited from collaborations with domain scientists from various projects, including LIGO’s Duncan Brown, Scott Koranda, Kent Blackburn, Peter Couvares and Stuart Anderson, among others. They provided us with real-life computational challenges that make our software relevant and inspiration that keeps us motivated to do better,” Deelman said. Since Pegasus is an open-source software, it is available for other researchers to download without any licensing fees. Deelman said it has been used for other scientific initiatives, including those at the Southern California Earthquake Center, which uses the software to model seismic hazards in SoCal and predict the flow of an earthquake. Pegasus also has been used for modeling climate change, to track the extinction of monkeys, create better soybeans and to understand genetic patterns in disease and conditions such as schizophrenia. “With Pegasus, I think there will be many more new exciting discoveries,” Deelman said.